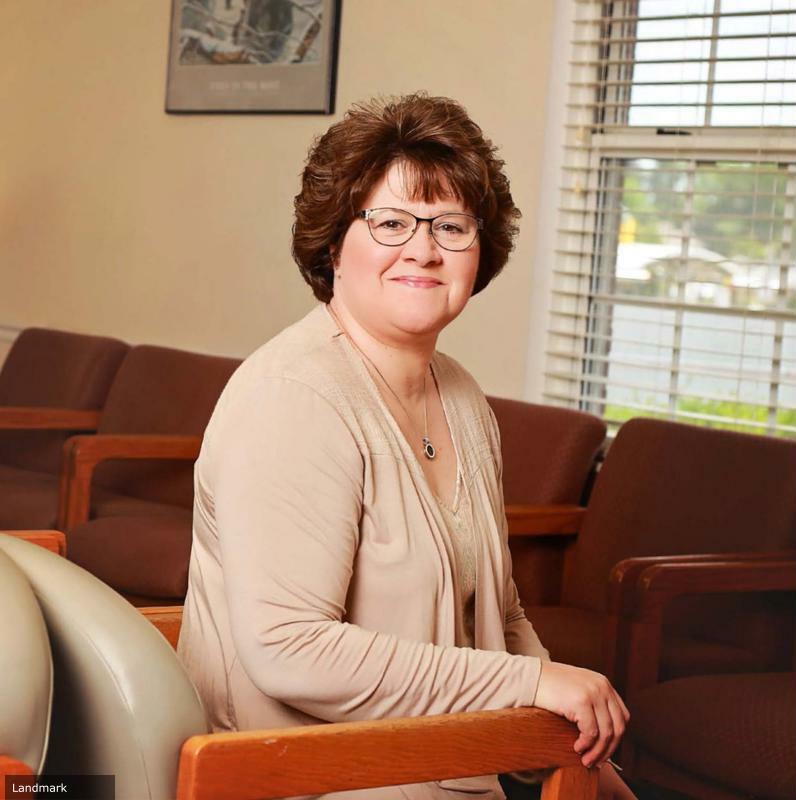 When Sheri Noble accepted her position as clinic administrator at the Good Samaritan Care Clinic in 2006, she knew there'd be some amount of on-the-job learning. The southern Missouri native, who was working for a CPA at the time and had majored in accounting and business administration at Drury University years before, knew business well enough, but medicine was a new frontier. Little did she know, she had found her new calling. The Good Samaritan Care Clinic is a nonprofit in Mountain View, Missouri, that provides free health care for low-income patients and patients without insurance. Services include consultations with medical and dental providers, some free prescription medication, laboratory services and dental X-rays and extractions. "We truly see patients monthly, if not weekly, who have not been to a doctor in years," Noble says. "They come in very, very sick - a lot of them with chronic issues like diabetes, hypertension or undetected cancer. The clinic has been instrumental in helping them and getting them on a course of action that will help their long-term health." Sheri Noble's role entails wearing a number of hats. Noble's job title covers a broad range of requirements. She writes grants, is responsible for the financial stability of the organization, assists the clinic's staff and board of directors, does fundraising and follows patient care. "Some parts of my job are business related, and some really aren't," Noble says. "I had to learn on the job how to be helpful in the medical field." Despite the learning curve, Noble says it's all been worth it. "We truly do help people." she says. "And it's very unique that there's an organization like this clinic in a rural part of Missouri. There's a real need for it here, but to even exist in a place like Mountain View takes a tremendous outpouring of support from this community." That support includes the 125 active volunteers, some of whom come from as far away as Springfield, to work in the clinic. All doctors and dentists volunteer their services free of charge. In 2015 alone, the clinic - which is open to patients on Monday evenings beginning at 5:15 - had about 2,200 recorded patient visits. The clinic typically has three medical providers on staff every Monday night, and they usually see between 30 and 55 patients. "The really amazing thing is how far our patients drive to get here," Noble says. "In the first one and a half months of 2016, our patients have come from 33 towns and cities in southern Missouri." The clinic itself has also grown since Noble came on staff almost 10 years ago. In fact, right before she started, the board had voted to move the clinic to a new location - a house in need of renovations. "I was asked by the board to go to the bank to speak to the president." Noble says with a laugh. "I thought, 'Me?' And I truly remember I was so scared and intimidated, but it wasn't anything like I expected it to be." That bank was Landmark, where Noble and the Good Samaritan Care Clinic established a line of credit to cover some renovation costs before grant money they had applied for became available. "I went into his [the president's] office and explained what we needed and why we needed it, and they did it for us," she says. "I remember thinking this would never happen in a big city. I didn't know what I was doing in this position, and I was dumb enough to think I just had to ask. But it worked, and we've had a wonderful relationship with Landmark off and on throughout the years." For Noble, that relationship has been a personal one, too. When she and her husband, John Noble - president of the Good Samaritan Care Clinic Board of Directors and senior pastor at First Baptist Church in Mountain View - and their three children moved to Mountain View after years in Chicago and North Carolina, they opened a Better Free Checking account. Since then they've added a home loan and a refinance. "We appreciated their service as our personal bankers, and as I got involved with the nonprofit, it became more apparent to me how important it is to know your banker," Noble says. "We've been fortunate that through grants we've been able to add some square footage at the clinic, and Landmark has helped with the line of credit and a construction loan. More than that, they've donated to our mission. They've recognized that we're playing a small role in the health of our community, and they've aided in that." As work at the clinic continues and their services expand (they'll soon double the size of their dental clinic), Noble reflects on how eye opening this experience has been. "It sounds simplistic, but this job has really taught me that not everybody has the means or the right to go see any medical provider of their choice in Missouri," she says. "Some people can't choose to go to the doctor because they don't have the means to do so. Maybe they knew in the back of their mind that something wasn't right, but they just kept trudging on." Success in their business, Noble says, is sort of a catch 22 because in an ideal situation, the clinic's services wouldn't be needed. "The hope is that the medical climate in the U.S. would be that there isn't such a disparity in medical care for people of differing income levels," she says. "But success, to us, is helping people. Sometimes we have to search and scrounge around for our resources, whether it's money, time or talent, but the bottom line is, when we're able to make somebody's life better simply because they could come in on Monday night and get their prescription to get their blood pressure under control, that, for me, is success." And for a town the size of Mountain View, the Good Samaritan Care Clinic is a testament to the support of an entire community. "Every time we can keep the doors open for another month and see another 120 to 150 patients, that's a remarkable thing," she adds.